You are here: Home / News / #IChooseEurope is on the Road to the Future! 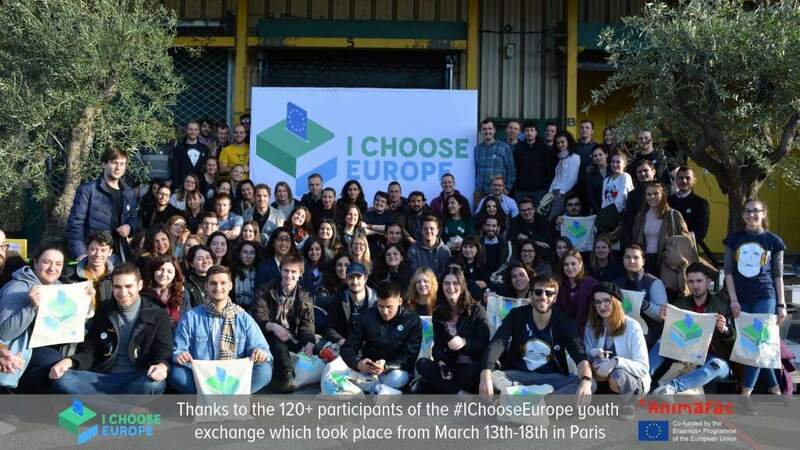 From 13 to 18 of March, more than 120 young participants from all over Europe gathered in Île de France for the “I Choose Europe” Youth Exchange in the locality of Jambville and the launch of the campaign at “Quartier Général – the Festival of the Engaged Youth in Europe” in Paris. AER not only joined its counterparts of the “Road to the Future” project to support the event organisation but also delivered a workshop on youth employment and mobility in Europe, being these topics very high on the EU agenda in view of the European Elections in May. The quiet life of the locality of Jambville (FR) was disrupted by +120 temporary inhabitants from different spots in Europe that came together to exchange, in a creative manner, views and insights relating to the European Elections while contributing to the preparation of the campaign “I Choose Europe”. From its opening to its closure, the atmosphere over the course of the 5-day event was visibly marked by a common conviction around the ideal of a more united and stronger Europe. A broad variety of activities took place in Jambville in a convivial environment during the Youth Exchange, ranging from parallel workshops on the future of Europe to intercultural activities to discover the particularities of each national delegation. 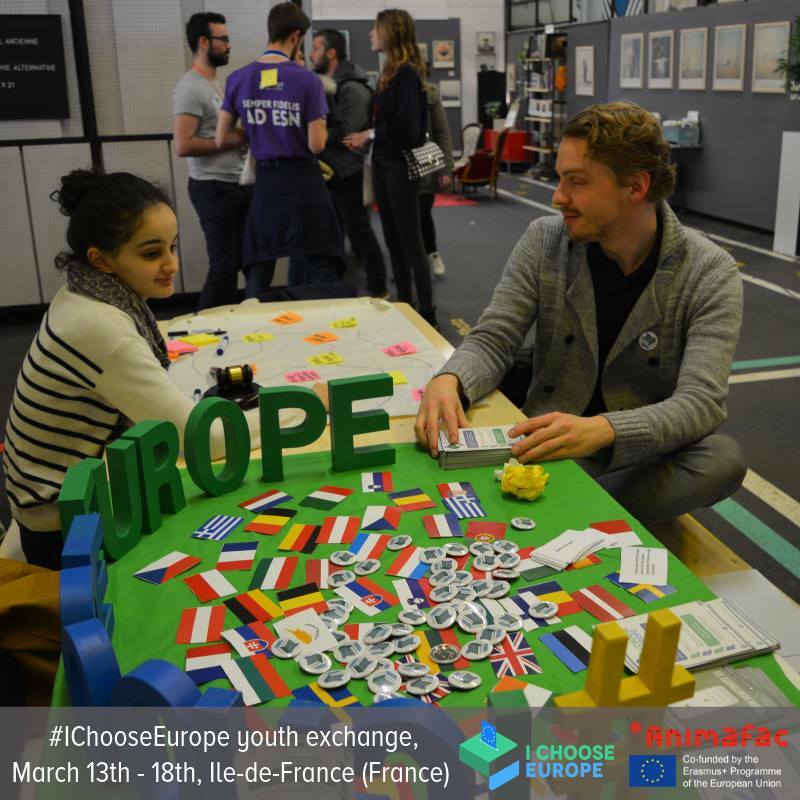 Furthermore, the participants got actively involved in preparing and presenting Europe-oriented activities for the high-visibility “Quartier Général, le festival des jeunes engagé.e.s en Europe” youth festival for the launching of the #IChooseEurope campaign. 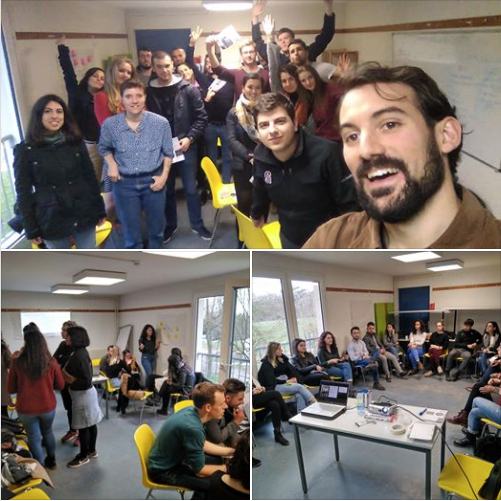 The 5-day programme allowed the participants to understand the goals and methods used in campaigning, familiarising them with various youth engagement tools and, ultimately, developing skills to promote European debate in their own local communities. AER programmes coordinator, Andrés Muñoz, contributed to the programme with a workshop entitled “Youth Mobility for European Integration” aimed at reflecting on how youth mobility programs and cross-border and interregional cooperation can alleviate youth unemployment while increasing the sense of European identity and the inclusion of young people with fewer opportunities. The participants not only discovered the benefits of AER’s Eurodyssey youth mobility programme but also discussed, through a role-play exercise, the opportunities and obstacles to joining Eurodyssey from the perspective of the different mobility stakeholders. Additionally, the participants developed analytical skills by putting the problem/solution tree diagram into practice while simulating the role of policy-makers. You can download the presentation here! 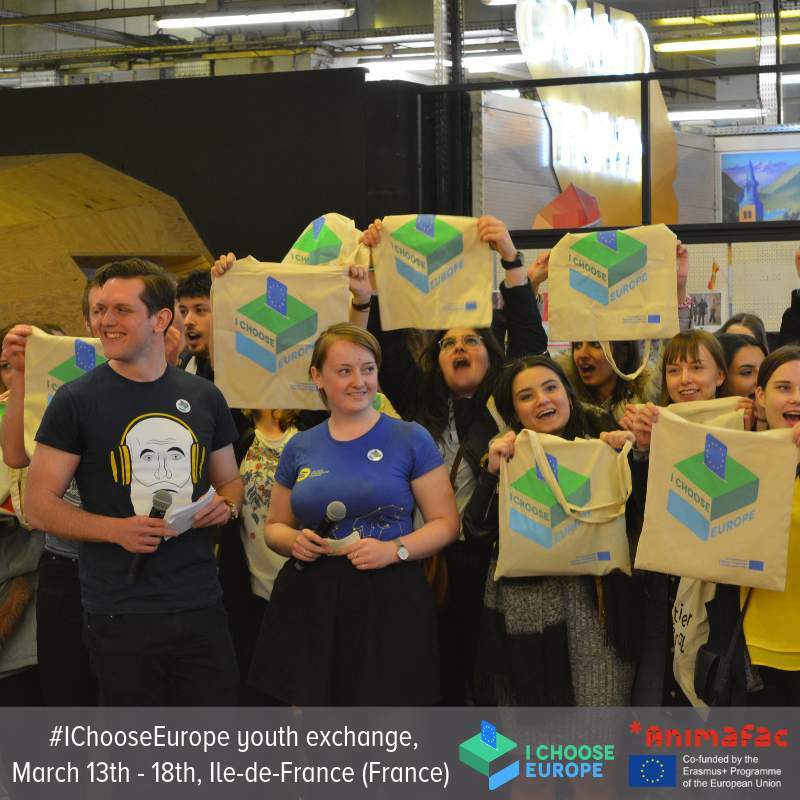 The #IChooseEurope campaign has taken off! What is more, the peak event of the festival was again led by the “I Choose Europe” campaigners, JEF Europe and the rest of the Road to the Future project partners who performed a flash-mob around the main stage of Quartier Général in order to draw attention to the campaign. 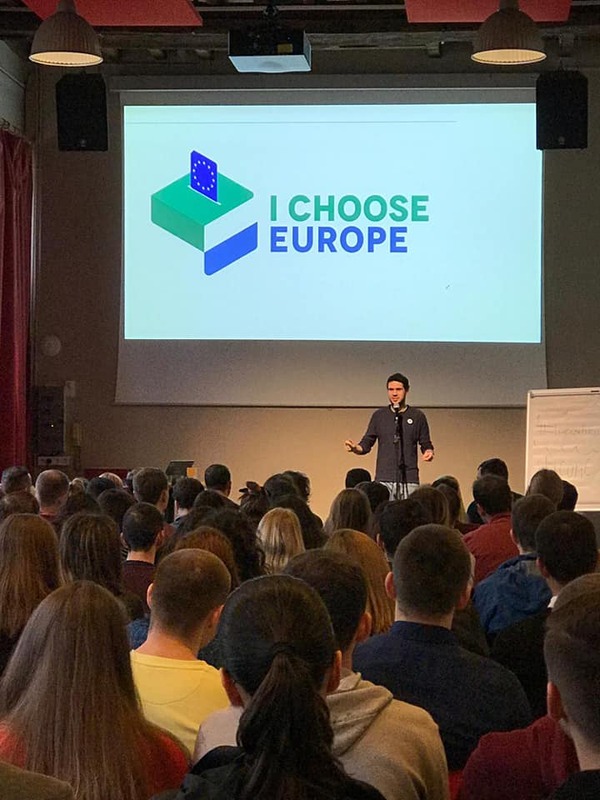 Christopher Glück, President of Young European Federalists (JEF), delivered a speech from the main stage calling for a massive mobilization of young people in view of the forthcoming European electoral process. Let’s all raise our voices to convince our friends, neighbours, workmates and relatives to vote in the European Elections in May! !